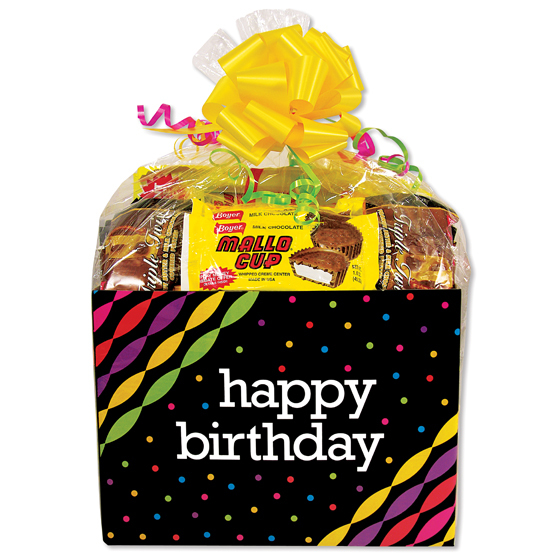 Nothing makes a birthday happier than delicious candy gifts from Boyer Candy Company! This delicious assortment of your favorite Boyer treats includes Mallo Cups, Smoothie Cups, Boyer Peanut Butter Cups, and our Triple Twist Pretzels. The Happy Birthday Gift Box is the perfect candy gift for that special someone in your life. This kit comes wrapped in cellophane with a decorative bow. Nothing says “Happy Birthday” quite like 1.5 lbs of delicious Boyer Candy!